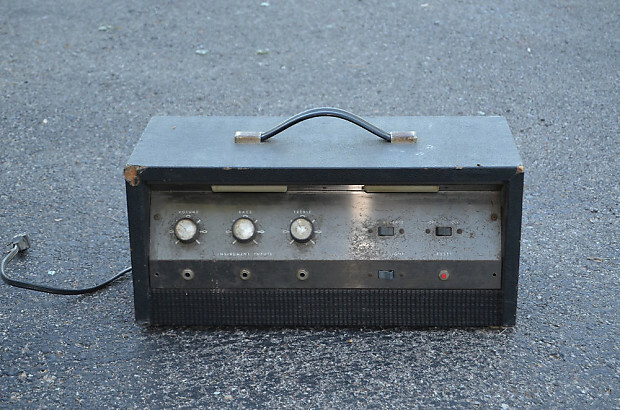 1960'S MONTGOMERY WARDS AMPLIFIER HEAD VINTAGE GIM 8111A AIRLINES VALCO SUPRO PROBABLY EARLY 60'S. THIS ONE HASN'T BEEN CHANGED. ORIGINAL TUBES. UNUSUAL RARE CONTROL LIGHTS WORK. 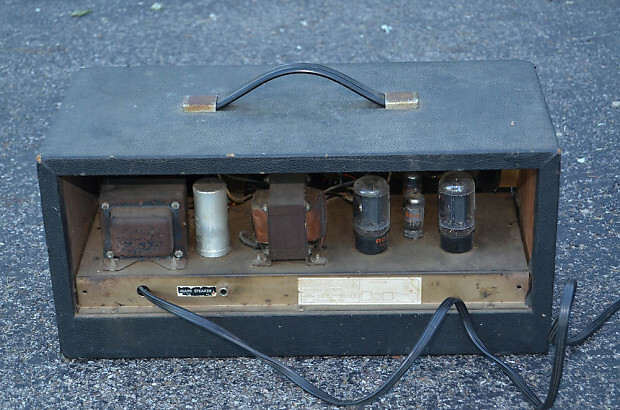 ORIGINAL RCA TUBES. 20 X9 3/4 X 9 1/4 inches.